1 Lock and Key Signatures. 1.1 UNIT 12 DAY 1 - Mayor and Minor Keys. 1.2 UNIT 12 DAY 2 - Major Mode and the Key Signature. 1.3 UNIT 12 DAY 3 - Minor Mode. 1.4 UNIT 12 DAY 4 - Altering the intervals. UNIT 12 DAY 1 - Mayor and Minor Keys. ① Major and Minor Modalities. A Mode is a sound-scape based on a modal center and the scale that note generates. If the distance between the first and the third note of the scale is a Major Third, then it will be a Major Mode. If it is a Minor Third, it will be a Minor Mode. ② Modality aside from Major and Minor Tonalities. 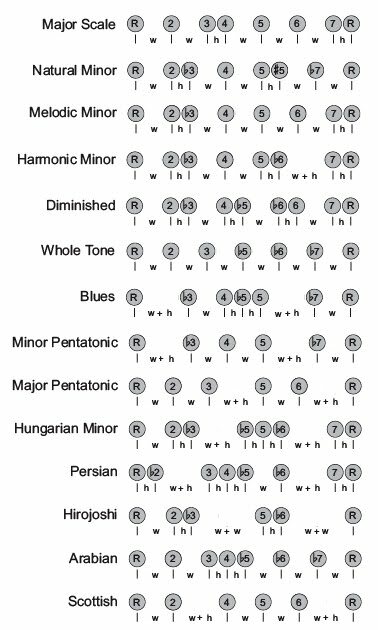 All Modes can be classified into Major and Minor, but there are many other scales, apart from the two classic Modes. The two most common Keys we know come from classical music and are the Major key and the Minor key. If the music sounds happy, then you are in a Major key and if it is sad, it is in Minor key. This is a well known misconception, but it serves us well, since it works as an educated guess to distinguish both of them. The Mode is a sound landscape based on a modal center and the scale intervals that note produces. If the distance between the first and the third note of the scale is a Major Third, then it will be a Major Mode. If instead it is a Minor Third, the sound of the scale will be Minor. The melodies of different countries identify the culture they come from in the same way as their art or their customs. In Europe, the major and minor tonalities create the typical sound of classical music and some types of popular music, but not all music is based on these two Modes. There are many other scales, aside from these two classical forms. Descending triads with suspended seconds. UNIT 12 DAY 2 - Major Mode and the Key Signature. 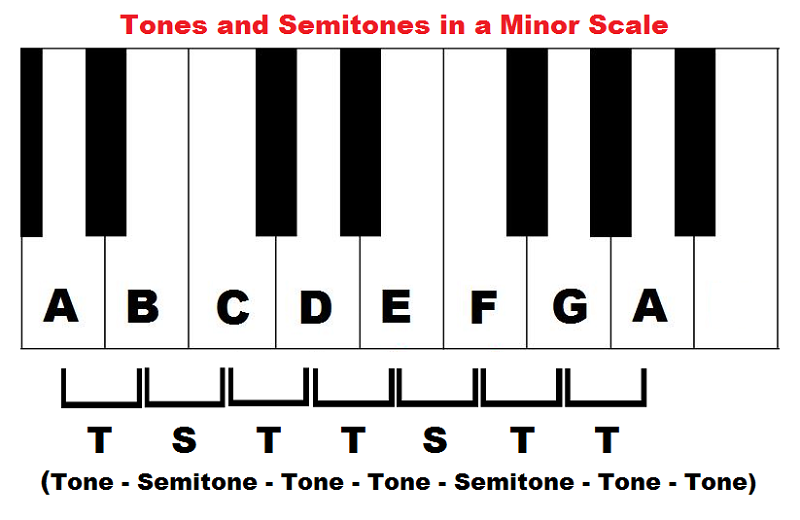 ① Where can we find semitones in C Major scale? Between E and F and between B and C.
② What is a Key Signature? Is a group of alterations that follows the clef. It indicates the Tonality of the Music and the altered notes. ③ How does the Key Signature works? Correcting the order of tones and semitones that fits to the basic structure of the Major and Minor Modes. ④ What indicates the alterations of the Key Signature? The notes that must be sharpen or flattened to play in tune. 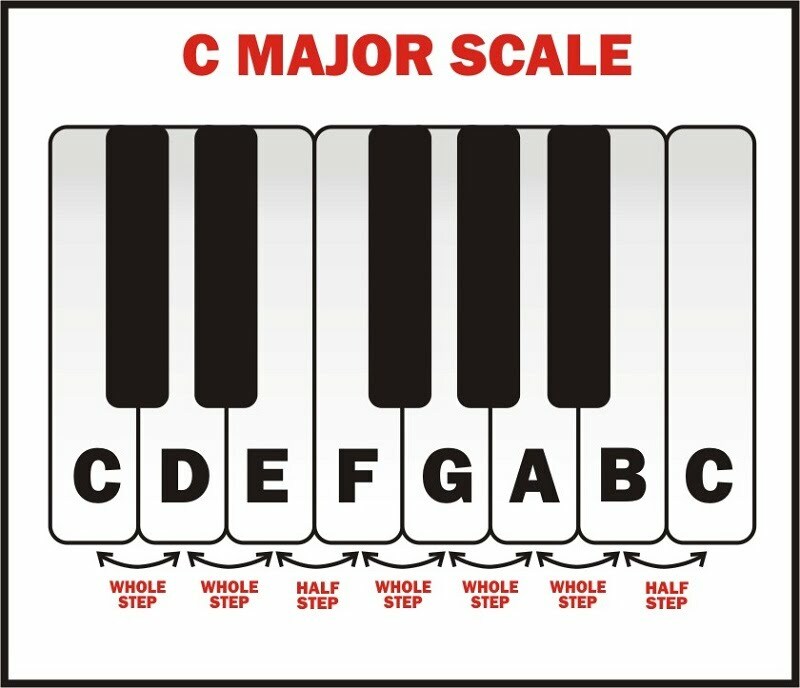 The C Major Scale has a tone between all notes except between E and F and between B and C, since they are only a semitone apart. These distances of tone and semitone are fixed and they are always the same. A Key Signature is a set of alterations (sharps and flats) following the Key. It indicates the Modality of the piece and the altered notes we are going to perform. Reading a Key signature, a musician knows what two Modalities the Music can be. One is the Major key (Tonality) and another Relative Minor Key. The one that predominates, would be the Key of the composition. The Key Signature is the best and most convenient way to create Major and Minor scales. 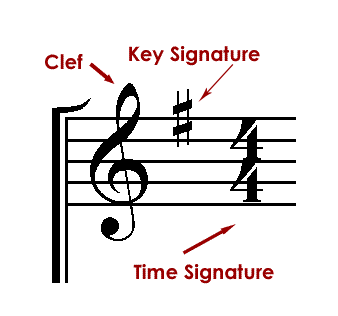 Surprisingly, the most common Key Signature is C Major, which has no alterations between the clef and time signature. Key Signature corrects distances of tones and semitones to reproduce the basic structure of the Major Key and its relative Minor Key. Alterations written after the Key Signature indicate the notes that should be changed into sharp of flat versions to play them in tune. UNIT 12 DAY 3 - Minor Mode. ① Differences between the intervallic structure of the Major and Minor scales. The notes are the same, but the relationships are different since intervals of the Minor scale starts in the sixth grade of the Major scale. It is the seventh grade and is at a distance of half tone downward from the Tonic-tone. It allows perfect cadences. 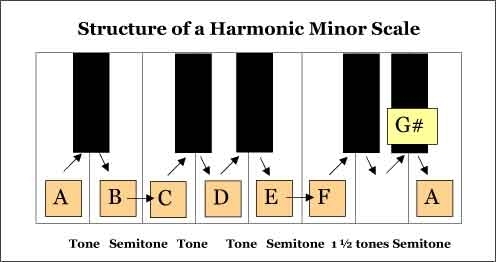 The relative Minor Mode of Major tonality can always be found in the note that is in a descending minor third from the Tonic of the Major Mode. The Notes of this new scale remain the same as in the Major Mode, but the relationships between them are different since the intervals are not in the same order. The Leading-tone is the seventh grade of a Minor Mode and is located at a distance of half tone downward from the Tonic and it is used to create perfect cadences. UNIT 12 DAY 4 - Altering the intervals. ① Sharps and Flats of a Key Signature. 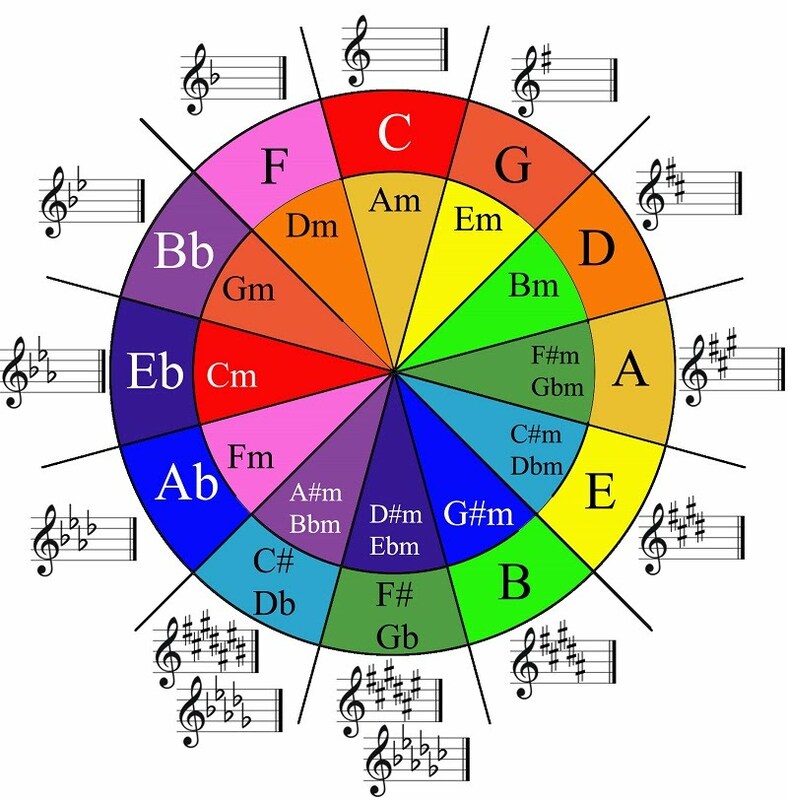 This alterations indicates the notes we must change to play in tune and the two relative tonalites the Music can be in. A Key Signature corrects the distances of Tone and Semitone from a blank scale. If we see, for example, three sharps in a Key Signature, it means that F, C and G are going to be sharps unless otherwise noted. The same happens with flats. Three flats means that B, E and A are going to be flat and if are to play them natural, it should be previously stated. And, as we saw in previous days, Three Sharps means A Major or F# Minor and Three Flats means Eb Major or C Minor.